“I have been robbed, it’s like my heart has been ripped out, I don’t have any reason to live anymore…” were the pain-tinged words of a tearful 37-year-old mother, Tashana Barrett, who says her six children were taken away from her following allegations of child abuse and neglect. She related that her six children were taken from her by the Child Development Agency (now- Child Protection and Family Services Agency) and placed with other people. Miss Barrett, a resident of 24 King Street in Montego Bay, is mother to four girls, ages 16, 13, 11 and 2 years, and boys ages 8 and 5 years. An emotional Miss Barrett told the Western Mirror her ordeal began to unfold in August of last year, when she scolded the elder of her two sons for smashing the television set. “I sent him to his father to discuss it with him and to ask him to get his friend who fixes electronic devices to fix it. However, he held the boy and later took him to the family court, saying that I had physically abused him,” Barrett said. Miss Barrett said she was called to a meeting at the Family Court and was interviewed about the matter by a Miss Wilton of the CDA, whom she said indicated that it was obvious that she loved her children and it could have been a misunderstanding. She said, however, that the court recommended that the boy be placed at his father’s house pending investigations into the matter. Things were about to get worst for Barrett as on September 11, she received a called from Miss Wilton, who advised her then that she had four of the children at the CDA office, who said they had been abused by her and were afraid of her. “I asked her how could she say that, it is not true. Then I asked her what I should do and she said I should come to court the following day which I did. When I got there, my sister, who lives in Norwood, was there and a lady from Spanish Town, whose son I had a previous relationship with. The court ruled that my eldest child, my daughter, should stay with my sister; third daughter was placed with the lady from Spanish Town and the boys were placed with their father,” Barrett explained. The second child and the last child were at home, but according to Barrett, after she left court and got home, she was told that the other two children were taken by the CDA, which claimed that the children were left alone at home. The second daughter was placed with Barrett’s sister from Norwood, while the 2-year-old was left in Barrett’s custody. However, the 2-year-oldwas child was last Monday placed with the father. “How can they place her with the father, there is no woman in the house to take care of her, what is the CDA doing?” Barrett asked. 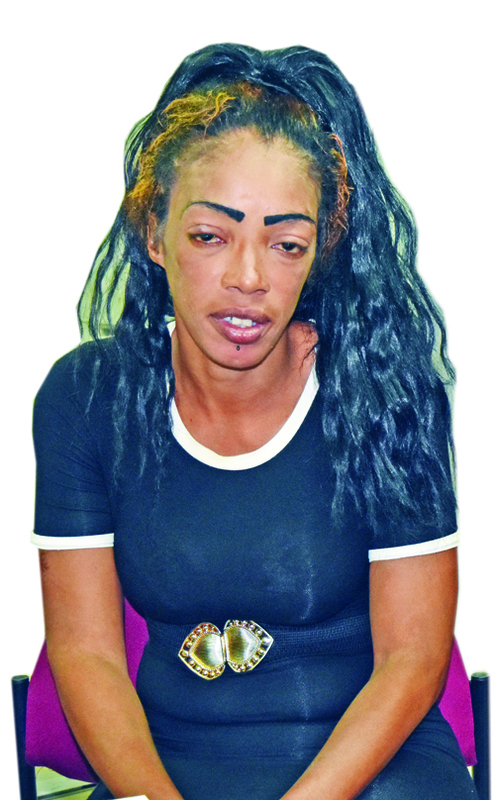 When contacted, Marcia Wilton, Chief Investigating Officer at CDA in Montego Bay, told the Western Mirror that several reports have been received from neighbours and other persons, charging that Miss Barrett was physically and verbally abusing her children, citing that she has evidence to prove it. She showed a photograph of Barrett’s elder son with a cut to the lower arm, busted finger and bruised and swollen eye, purportedly from the scolding which he got for damaging the television set. “The children have pointed to instances of abuse saying they were in fact very afraid of her. What has happened is that under the Child Care and Protection Act, we have placed the children with maternal relatives, as they were considered to be in need of care and protection as their physical or mental health or emotional state was being seriously impaired, or there is a substantial risk that they will be seriously impaired,” she explained. Miss Wilton said the other children were taken as they were members of the same household where the offence was committed as provided for under the Act. Eunice Scott Shaw, Regional Director of the CDA, told the Western Mirror that the Agency does not award custody and therefore, the children who were taken from Miss Barrett would be under supervision for a limited time. “She is required to do 20 hours of parenting sessions for which she would be awarded a certificate, which should be taken to the Family Court judge who would act further from that point. I must point out, however, that at no time does the Child Protection and Family Services Agency award the custody of children. The children are being remanded, which means they are placed with relatives or caregivers, generally for a period of 90 days, after which if the conditions have been changed, they will be restored to their families. “The CPSFA seeks to assist parents to improve their families, not destroy so we are trying to help her to improve her parenting skills,” he said.